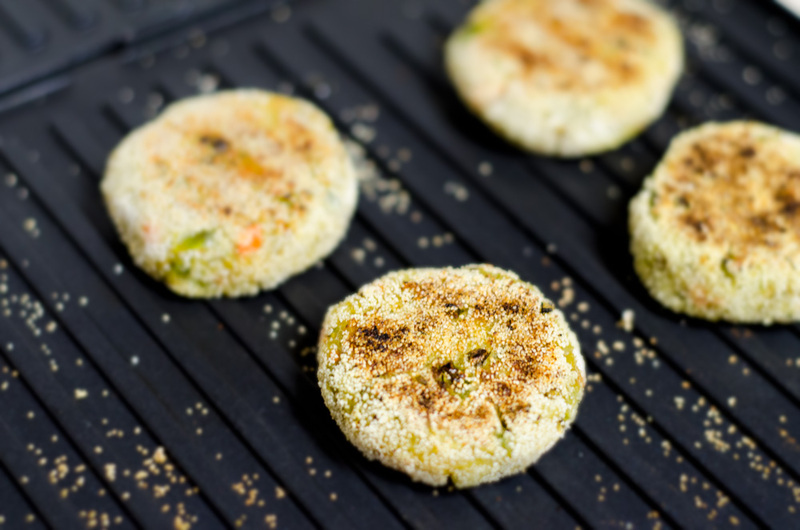 Mum would make yummy cutlets with spicy mint chutney and we would enjoy every bite! Boil, peel and mash the potatoes and keep it aside. Steam the vegetables. Add the green chilli and ginger paste. Sauté for a few seconds. Add the finely chopped onions. Sauté till pink and translucent. Add the steamed vegetables and fry for 2 minutes. Add all the powders and fry for about 3-4 minutes. Remove it from heat and allow to cook for 10 minutes. Take some water in a bowl. Dip 1 bread slice into it. Remove immediately , squeeze the water and add to the vegetable mixture. Repeat the same for the second slice too. Add corn flour. (Corn flour and bread slices helps in binding the mixture). Mix well. Shape them into cutlets. Add the rava to a plate. Coat the cutlets with rava. This again help in binding and gives a crispy texture. Shallow fry on a Tava or grill them by adding some oil. Serve with pudina chutney, slices of cucumber and tomato. From aloo to paneer, Mum made the most amazing Parathas for us.